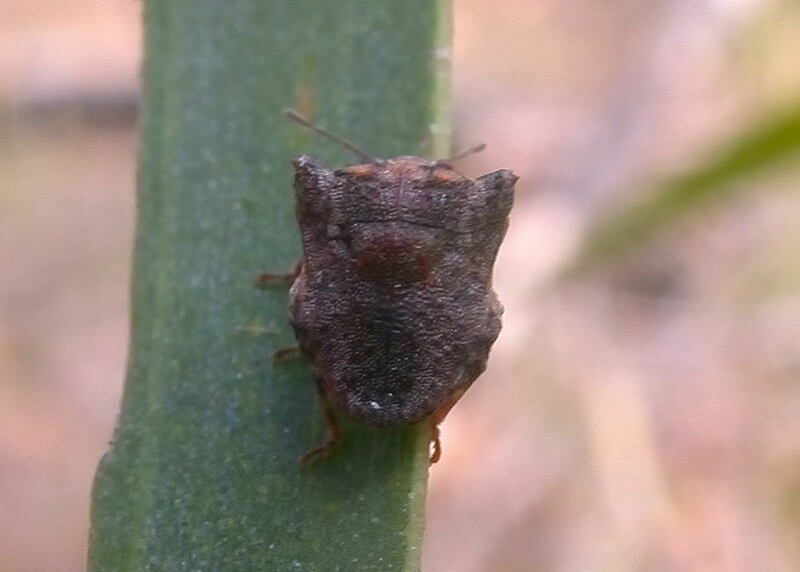 This page contains pictures and information about Small Acacia Stink Bugs that we found in the Brisbane area, Queensland, Australia. 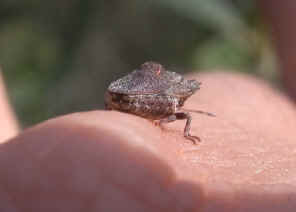 This very small Stink Bug was found on Acacia leaves in Karawatha Forest. We found two of them on a small Acacia plant. We found this bug only once. They are too small to be noticed as a stink bug. 2. Eufroggattia Goding, 1903 - by Gerry Cassis, Emma Betts and Michael Elliott, Stink Bugs, Fauna Net, Australian Museum 2002. 3. Eufroggattia tuberculata Goding, 1903 - Australian Biological Resources Study, Department of the Environment and Heritage, Australia 2005.